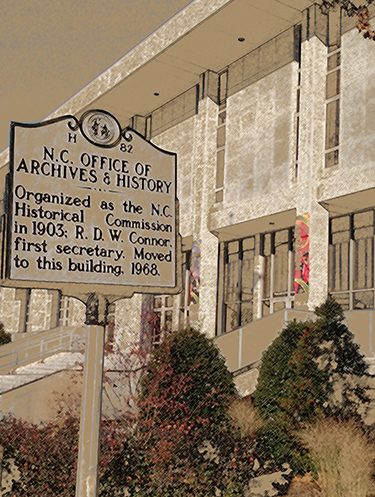 North Carolina supplied three regiments to Pershing's Punitive Expedition to Mexico in 1916, including the First North Carolina Infantry regiment. The unit mustered at Camp Glenn in Morehead City the first week of August, 1916 and arrived in El Paso, Texas September 30, 1916. J.T. Gardner, brother of future governor O. Max Gardner commanded the regiment. The Mexican Border Campaign, also known as Pershing's Punitive Expedition, got underway in March of 1916 when President Woodrow Wilson sent troops under the direction of General John J. Pershing to pursue Mexican Revolutionist Pancho Villa following Villa's attack on U.S. mining officials in Mexico in January and a raid on Columbus, New Mexico two months later. Up until that time the U.S. - Mexican border was not heavily patrolled, but with American outrage against Villa growing, President Wilson sent troops to fortify the region and to cross the border in an attempt to capture him. Although American and Mexican forces (both supporters of Villa and Venustiano Carranza) clashed on several occasions, no conclusive outcome was achieved other than the scattering of Pancho Villa's followers. Diplomatic relations between President Wilson and President Carranza kept the conflict from escalating. An order to withdraw was issued January 9, 1917. North Carolina sent three regiments to the border, including the First North Carolina Infantry regiment. The unit mustered at Camp Glenn in Morehead City the first week of August, 1916 The First North Carolina Infantry, consisting of 12 companies, arrived in El Paso, Texas September 30, 1916 and returned to North Carolina in early February 1917. J.T. Gardner, brother of future governor O. Max Gardner commanded the regiment. One panoramic black and white photograph 10 x 53 inches of the First North Carolina Infantry Regiment taken at Camp Stewart, Texas in 1916.